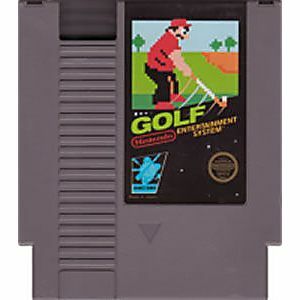 Golf original NES Nintendo Game cartridge only - Cleaned Tested and Guaranteed to Work! I had this game growing up. I probably didn't appreciate it as much as I do now. Great game to play if you enjoy the game of golf. You'll swing some clubs you probably never will in real life. 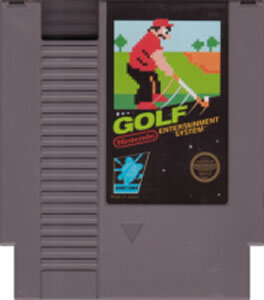 Golf was made by Nintendo. It's golf. There's really not a lot of depth in this game. Every time I play it I wish that the game gave you more information. Distance to hole, power of each club, and many other questions are never answered. That being said, it's an ok game if you're very patient. So cheap why not own it? I like this game because it's the oringal Mario golf game.